The Puerto Rican crested toad, Peltophryne lemur, was originally described in 1868 (Cope, 1868) and once flourished on Puerto Rico and Virgin Gorda. Habitat loss and introduced species, such as the marine toad, Rhinella marina [=Bufo marinus], are major causes for the toad’s decline and led to a listing as Threatened by the United States Fish and Wildlife Service (USFWS) in 1987 and Critically Endangered by the International Union for Conservation of Nature and Natural Resources (IUCN). The crested toad is the only toad native to Puerto Rico and is easily distinguished by its unique head crest. It lives in arid to semi-arid climates in karst limestone formations and is a representative of an ancient and distinctive clade of Bufonidae (Pramuk et al. 2007). 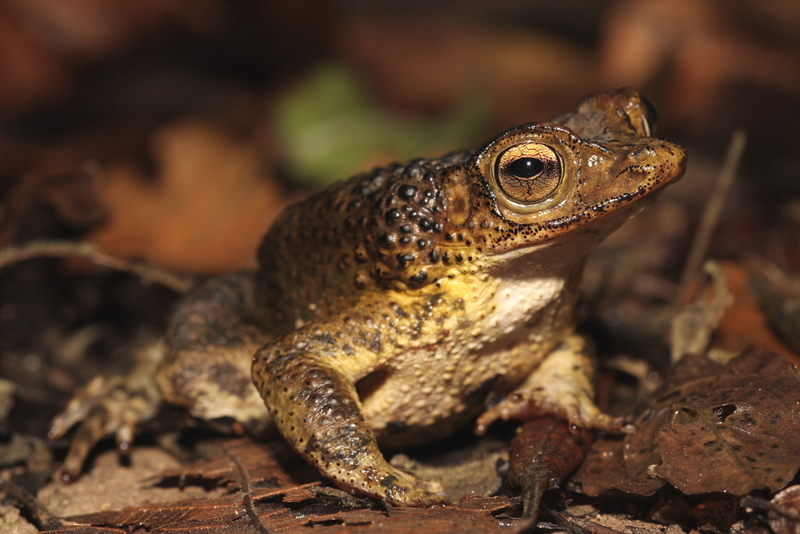 In Puerto Rico, toad populations were once divided into two distinct populations throughout the karst regions; one in the north and one in the south. Mitochondrial DNA analyses suggest that these two populations have been separated for up to 1 million years. Although there is a substantial genetic divergence within these two populations, recent genetic analysis show that they are not divergent enough to warrant species or subspecies classification (Beauclerc et al. 2010) . Northern toads have not been seen in the wild since 1992 and biologists consider the population extirpated. Currently, the only known wild population is in the south, and resides in a small pond located within Guánica Commonwealth Forest and at two other sites adjacent to the area. In an effort to save this species from extinction, a Species Survival Plan (SSP) was created in 1984 through the American Zoo and Aquarium Association (AZA). The SSP goals include island-wide education and outreach, research, the protection of existing habitat, the creation of new ponds, and the establishment of at least six self-sustaining populations in the wild. A reintroduction program is a large component of the recovery plan for this species. The reintroduction program started with over 3,400 toads released from four institutions (Buffalo, Fort Worth, Juan Rivero, and Toronto zoos) from 1982-1992. Since 1992, over 300,000 captive hatched tadpoles have been reintroduced onto the island from over 20 zoos in the United States and Canada. Historically, wild and captive crested toad populations were jointly managed by AZA PRCT SSP, Puerto Rico Department of Natural and Environmental Resources (PRDNER) and the US Fish and Wildlife Service (FWS). In 2003, the PRCT Working Group broadened to include various individuals and agencies (i.e., representatives of the FWS, PRDNER, AZA, Puerto Rico National Park Company (PRNPC), Para La Naturaleza, researchers, scientists, local NGO’s, universities, educators, private landowners, community groups and volunteers) to fulfill the goals of the recovery plan. In 2013, a formal memorandum of understanding was signed by AZA, FWS and PRDNER to strengthen collaboration and participation among cooperators to promote and support the recovery and conservation of the Puerto Rican crested toad.